it’s one of the oldest places to stay when people needed to wait for their departure to New York… by boat! I know my girlfriends love a high tea over there and that they also have an excellent dinner menu. I can smell the sea already! one of the largest football stadiums in Holland would be perfect to plan a meeting at! You can plan a guided tour of the stadium as well. Manchester United fan? Watch Guidetti play with Feyenoord. it’s one of the largest venues in the Netherlands, but even though you may have a small convention, you can use this place for intimate meetings as well! Located in Rotterdam very well. Not only does this hotel have a 4 star rating, it’s also been reviewed very favourably! Located close to nature but also very central in Rotterdam. Tip! you know Holland is closely connected to water, so why not use this in a meeting? Plan your meeting on a large boat! when Rotterdam imported large amounts of grain they stored it here. When this was not needed anymore they transformed it into an events hall. Also good for clubbing for youngsters. 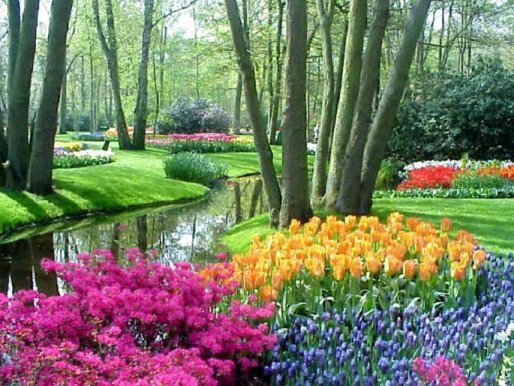 Flower park de Keukenhof is very beautiful. What you should definitely do is taking a bike tour around it. This way you can discover the Netherlands differently then just walking by the flowers in the park. And above all: it’s so much more beautiful to see those grand fields of tulips! Impressive really. Want to experience a typically Dutch trip? Take a boat tour on the Utrecht canals! The Utrecht canals are even more special than the ones in Amsterdam. You can moor to the restaurants next to the canals. The floor and water levels areeven, so you can easily hop out when you see one you like. It’s really special! And don’t forget: Utrecht is one of the ‘bizarrely under-visited’ towns according to Lonely Planet. If you want to make it really special after a meeting you can plan a BBQ boat. Make your own cocktail in the one and only Ice Bar in the Netherlands, located in Amsterdam. It’s fun to do with your colleagues and good for bonding as well. Drink the cocktail you made yourself. Brilliant and a unique activity! How to discover the Dutch town where your meeting takes place? A GPS quest is a different, quirky way to do this! You get a lot of questions to discover the history and modern facts about the town you’re visiting. The whole West coast of Holland is covered in nice beaches. It’s an absolute delight to watch the sunset on the beach with a Heineken beer. Look at the best beach clubs around Noordwijk. The Netherlands is a small country. Imagine you can see the Netherlands from above! Ballooning has become very popular in Groningen. Ever eaten at a height of 96 meters? This is an experience you’ll have once in a lifetime! Have dinner with a spectacular view of Rotterdam. Take a look at our city of blinding lights! Most English movies aren’t dubbed in the Dutch movie theaters. It’s an excellent trip for after your meeting. Amsterdam cinemas. In Maastricht you have a lot of restaurants with tasty local food. When I’m in a bit of a run, I like to dine in Maastricht, as it’s easy to find out where I can dine in 90 minutes! When you are in the Netherlands for a meeting there’s nothing better than exploring the county you’re staying in, and offering the attendants’ spouses the opportunity to entertain themselves during the day. Furthermore, some relaxing activities in the program are a necessity for letting all the new information sink in and maintaining a productive meeting . I’ve selected a number of traditional Dutch ‘must sees’ in the Netherlands, suitable as either after the meeting distraction, or as partner activities. Keukenhof is the world’s largest flower garden. According to the official website for the Keukenhof Park, approximately 7,000,000 (seven million) flower bulbs are planted annually in the park, which covers an area of 32 hectares. Keukenhof is located in the South Holland province in the small town of Lisse, southwest of Amsterdam. It is accessible by bus. It is located in an area called the “Dune and Bulb Region” (Duin- en Bollenstreek). Look at this video of the beautiful flower fields. The Rijksmuseum (national museum) is the Dutch national museum in Amsterdam. The museum is dedicated to arts, crafts, and history, and houses some the finest and most famous art pieces in the world. It has a large collection of paintings from the Dutch Golden Age and a substantial collection of Asian art. 15 km east of Rotterdam lies the Kinderdijk. Kinderdijk is situated in a polder. To drain the polder, a system of 19 windmills was built around 1740. 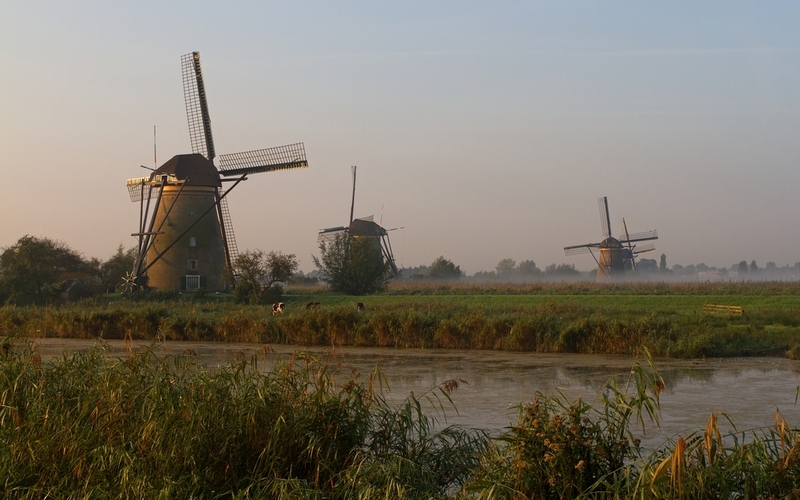 This group of mills is the largest concentration of old windmills in the Netherlands. The windmills of Kinderdijk are one of the best known Dutch tourist sites. They have been a UNESCO World Heritage Site since 1997. 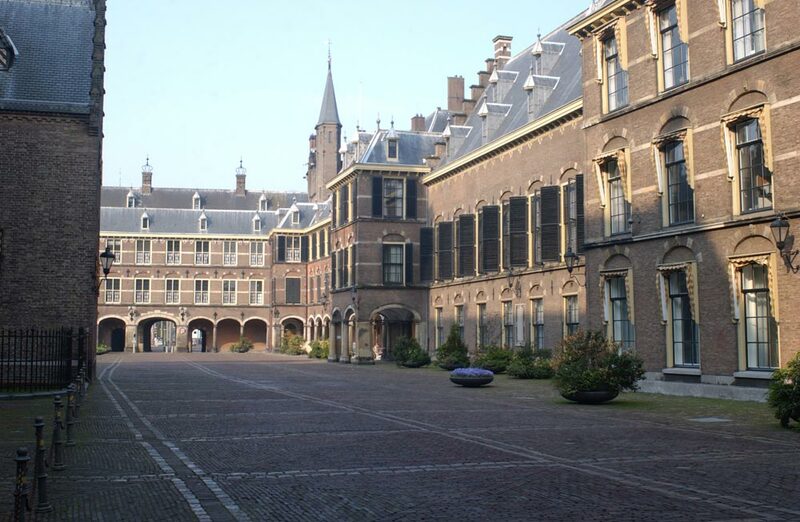 The Binnenhof (literally ‘inner court’) is a complex of beautiful and historical buildings in The Hague. It has been the location of meetings of the Staten-Generaal, the Dutch parliament, since 1446, and has been the centre of Dutch politics for many centuries. More buildings were constructed around the court, several of which are well known in their own right, such as the Ridderzaal (literally ‘Knights hall’), where the queen holds her annual speech at Prinsjesdag (literally ‘day of the prince’). One of the towers, simply known as het Torentje (literally ‘The Little Tower’; directly next to the Mauritshuis museum) has been the office of the Prime Minister of the Netherlands since 1982. The Noord-Holland city of Alkmaar is famous worldwide for its cheese market. 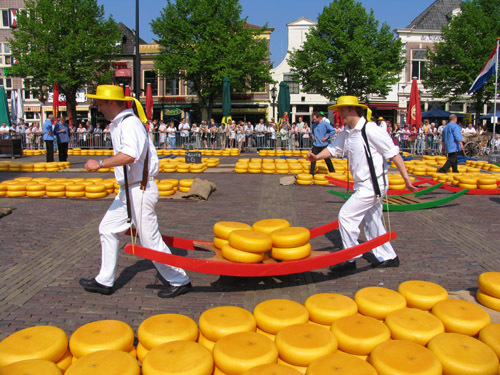 Cheese carriers can be seen in action on the Waagplein square every Friday between 10 a.m. and 12 p.m. during the summer. Cheese has been weighed in Alkmaar since 1635. Cheese carriers carry thousands of kilos of cheese from the Waagplein square to the weighing house. I hope I have given you some good ideas to do after a meeting or for a partnerprogram.